Worldpay triPOS Setup – How can we help? 1. Plug your terminal into a power source and check whether your terminal requires an ethernet cable connection or is WIFI enabled. If you are using an ethernet cable, plug the ethernet cable from the terminal into a nearby router or switch. The Ingenico iSMP4 is a WiFi enabled Worldpay terminal, follow the steps at this link to connect your terminal to your WiFi network. 2. Next, wait for the activation code to display on screen. Once the activation code appears on the screen, you will be ready to proceed. Make a note of this activation code as you will need it for later. If the activation code does not display, then the terminal is not connected to the internet. Check to make sure that your ethernet cable is fully connected. For security reasons, this activation code will refresh after 15 minutes, so be sure to recheck your terminal screen for the latest code when you come to pair this terminal with Vend. The steps to retrieve these credentials will depend on whether you are a New or Existing Worldpay customer. 1. Login to Worldpay iQ using the link provided in your Worldpay Welcome Letter. 2. On the Welcome page, navigate to the side-bar and select Self Service. 3. On the next page, under Self Service, make sure Hierarchy Level is set to Merchant. i. Your acceptor ID will automatically be entered into the "Enter a value or click + to look up" section. Select Search. ii. If the field is not filled automatically, select the + to look your acceptor ID up. A Select an entity modal will open where you may search for your organisation. Click Select once you are done and your Acceptor ID will be filled into the field from the previous step. 5. Scroll down to the next section and select Express Credentials. Here you will see your account credentials. Make a note of your Acceptor ID, Account ID, and Account Token as you will need these when pairing your terminal to Vend. 1. 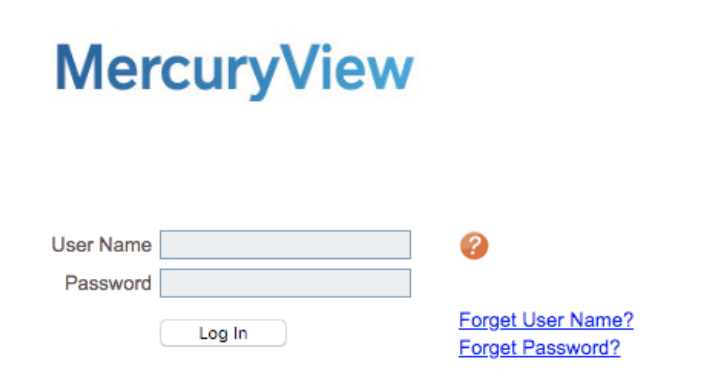 Head to the Mercury Pay Portal. 3. This will take you to the Worldpay Mercury View page. 4. In the top right-hand corner, select Account Settings. 5. 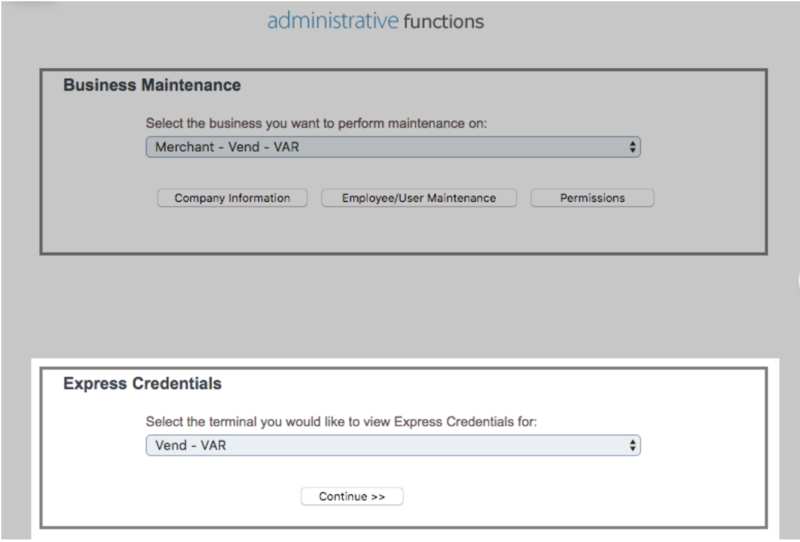 While on the Administrative Functions page, in the Express Credentials box, make sure that Vend-VAR is selected. Click Continue. 6. On this next page, you will find your Account Token, Account ID and Acceptor ID. 7. Head back into Vend to enter these into the corresponding fields in Vend. 2. 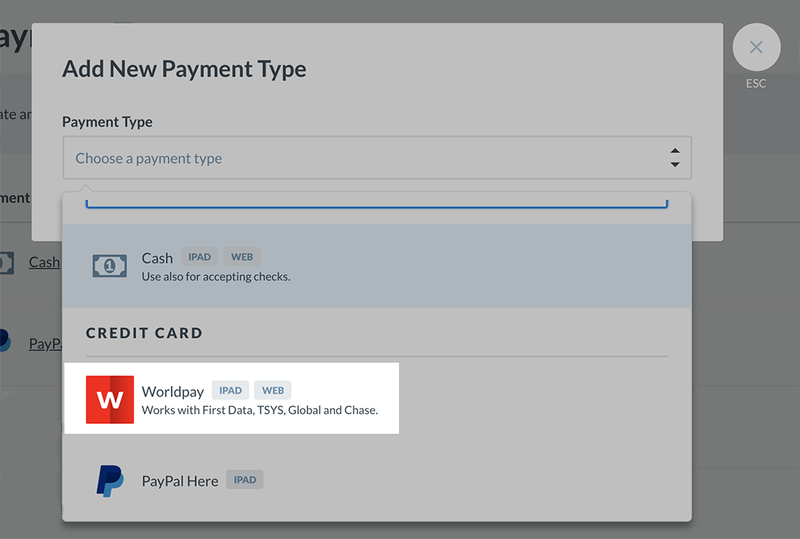 Navigate to Setup -> Payment Types. 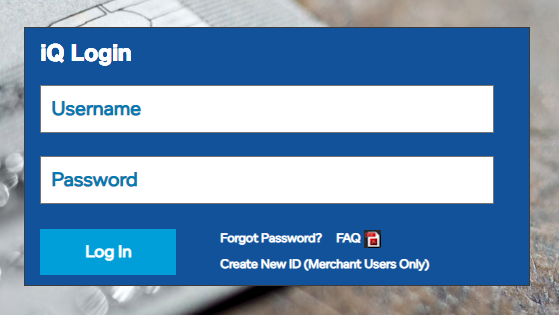 If the Worldpay payment type is already listed on the Payment Types page, click to open it and skip ahead to step 4. If you do not yet have the Worldpay payment type listed on this page, click the Add Payment Type button and select Worldpay from the payment type drop-down. 3. Once on the new Payment Type screen, add a name for your terminal if you wish to do. 5. A dialogue box will appear. Choose which Vend register to pair this terminal to and then enter the Acceptor ID, Account ID, and Account Token (Account Credentials) you noted from the Account Credentials section above. Select Pair Register once all the fields are filled in. 6. On the next screen enter the Activation code you noted earlier, from your Worldpay terminal screen, into Vend. Note: If you have an alternative payment processor to Worldpay, such as Chase, First Data, Global or TSYS, enter the Terminal ID. If you do not know where to find your Terminal ID, check out this article. 7. Once you have entered the Activation Code, and if needed Terminal ID, select Activate Terminal. 8. You will now be ready to take payments with your Worldpay terminal. 1. 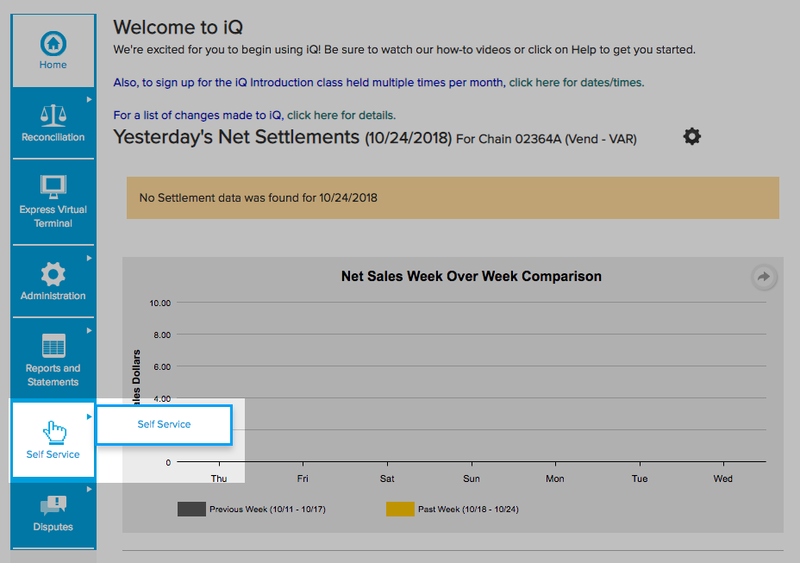 Navigate to the sell screen and process a sale as usual. 2. When presented with your payment options, select Worldpay. 3. Vend will connect to your payment terminal and allow your customer to pay for their transaction. Note: If you cancel or your customer cancels the digital signing step, the terminal will print a receipt for your customer to sign. 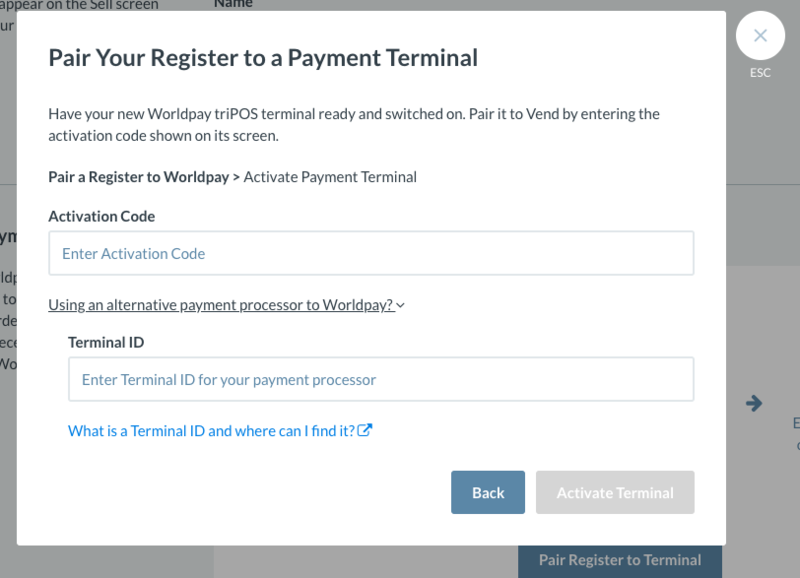 If at any time you are unable to process payments on your terminal, you can still take payments with Worldpay and Vend by using a Virtual Worldpay Terminal. 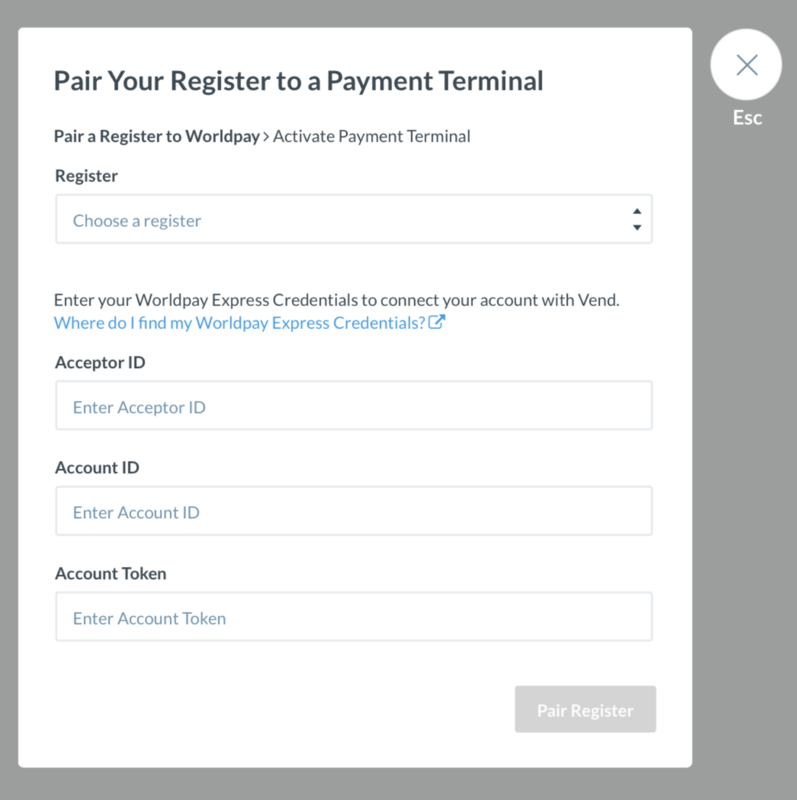 For more information on how to set up a Virtual Worldpay Terminal check out this link. What are the triPOS URL and port requirements? What do I do if the terminal does not display an activation code? 2. This will start an SSL handshake with the triPOS Server on the port that terminals use. 3. You should get a pop-up window on your internet browser. 4. If you do not get this pop-up window it means traffic is being blocked somewhere and you are unable to initiate an SSL handshake on port 9001. Contact your IT person to help solve this. What do I do if I receive an error when attempting to pair? 1. Validate that you entered in the appropriate Activation Code, which should begin with a “P” and followed by 6 numeric digits. 2. When the RBA information screen appears, type 2 6 3 4 ENTER. 3. Press F or + to get the Menu. 4. Press F for Menu. 5. Press 0 for Telium Manager. 6. Press 3 for Initialization. 7. Press 1 for Parameters. 8. Select Date and Time and press Enter. 9. Select Set Date and press Enter. 10. Restart terminal application by holding down the yellow Clear key and the minus key on the keypad. 1. Press 1+5+9 (all at the same time) and wait for the system mode password prompt. 2. The password is 1 6 6 8 3 2. 3. Press the Administration tab. 4. Press the Date/Time tab. 5. Adjust Date/Time to current local time, and press Apply. 6. Press Home tab and then press Reboot. Worldpay terminals do not have a standalone mode. Vend does not support Voice Authorisation transactions.